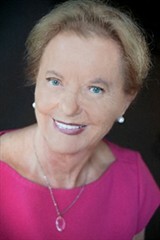 With a successful career spanning more than five decades, Ms. Vaughan is experienced in providing an array of medical services. Having worked in family nursing, acute settings and record management, she now lends her talents as the founder and owner of Your Image Reimagined. Your Image Reimagined provides personalized lifestyle medicine, in the forms of using breakthrough science, innovative products and First Line Therapy support. Ms. Vaughan also provides her skills as a nursing practitioner. And plans to continue these services, as well as work on disease prevention. Ms. Vaughan holds a master’s degree in public health nursing from the University of Illinois. She started Your Image Reimagined in 2015 with the intention on reversing the pains and side effects of chronic disease. She is certified in First Line Therapy with Metagenics, as a family nurse practitioner, and with diplomat status with the Academy of Anti-Aging. She maintains membership with the American Association of Nurse Practitioners. In addition to helping others with their health, she is involved in a prayer group and Project Reach Out. 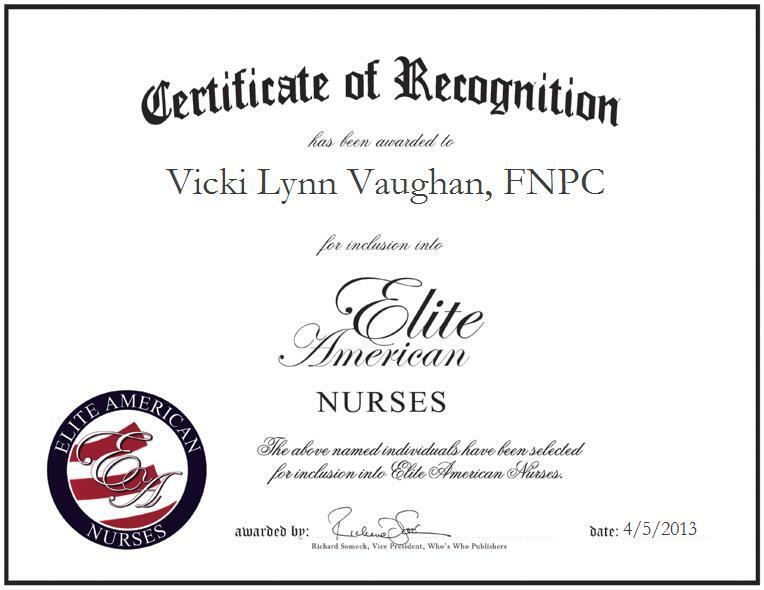 Vicki Vaughan was originally selected for inclusion in EliteAMERICAN Nurses in April 2013. We are proud to be featuring Ms. Vaughan again in EliteAMERICAN Nurses for 2016. This entry was posted in Nurse Practitioner and tagged chronic disease, disease prevention, health care services, nurse practitioner, Public health. Bookmark the permalink.